When undergoing elective cosmetic surgery, patients have time to conduct thorough and intelligent research, with the goal of finding the best plastic surgeon in the diverse field of Aesthetic Plastic Surgery, who will be the most qualified and best suited for the individual patient’s needs. A guest plastic surgery and medical expert on “The Doctors” national television program, Christine Petti, M.D. has gained a veritable reputation throughout the medical community for not only being at the forefront of plastic surgical technology, but also for combining her surgical aptitude and artistic ability to achieve natural and desirable results. She combines her surgical expertise with a unique and refreshing ability to communicate with her patients on a simple, easily understandable, and compassionate level. Because of her national exposure, Dr. Petti frequently treats patients from around the country who are looking to rejuvenate their appearance. She sees patients who have never had plastic surgery, but also specializes in revisional surgery, as patients seek her opinion following sub-optimal facial procedures, breast surgery and body contouring performed outside her private practice. For her out-of-town patients desiring aesthetic enhancement, Dr. Petti and her Staff want to make each patient’s visit comfortable, supportive, informative and stress-free. With these goals in mind, Dr. Petti and her Staff have created a Plastic Surgery Concierge Service to coordinate all of the details of your time with us from your initial consultation through your recovery. Conveniently located within 20 minutes of Los Angeles International Airport (LAX) and Long Beach/Daugherty Field Airport (LGB), our office can coordinate an array of travel services, including limousine transportation and hotel accommodations. 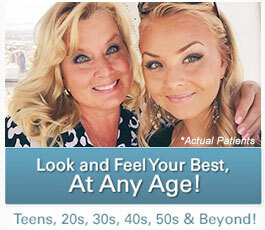 If you are interested in taking advantage of the Plastic Surgery Concierge Service, please call our office. It would be our pleasure to personally guide you through various options and assist you in your individual arrangements that will suit your needs. For more than two decades, Dr. Christine Petti and her staff have been committed to providing unparalleled patient care and have treated patients from the Los Angeles and Southern California metropolitan region and beyond. 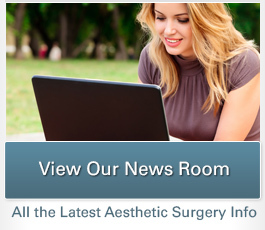 You may find that reading our patient testimonials will help give you a better feel of the care that you can expect from our plastic surgery practice. We understand that you want to entrust your well-being to the very best, and we would be honored to discuss a treatment and recovery plan tailored for your specific needs.